What Exactly Is a Divorce Loan? Can a Loan Really Rebuild Your Credit Score? Did you know the average American is approximately $38,000 in personal debt, with credit card debt being the leading source? With such a large amount of debt, personal loans are becoming more and more popular, especially for credit card debt consolidation. In the last year alone, 34% of Americans took out a personal loan. Personal loans can be used for a variety of reasons, whether that be for debt consolidation (the most popular reason for taking out a personal loan), medical expenses, home improvements, etc. But how do you know if a personal loan is right for you? 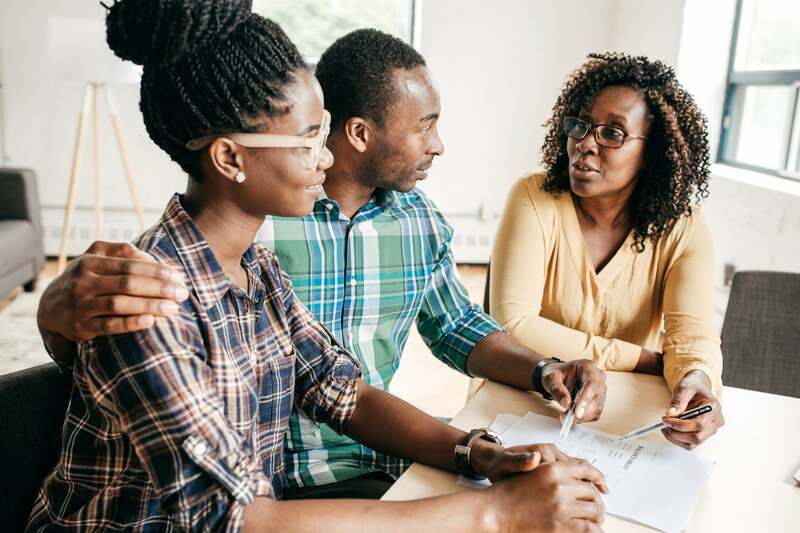 Everyone’s financial situation is unique, so you want to make sure you understand personal loans before you determine if a personal loan is the best way to go. Although personal loans are a common solution for debt consolidation, that doesn’t mean it’s right for you. Here are a few indicators that debt consolidation through a personal loan is not the best solution and you’d be better off seeking debt counseling or another financial avenue. With your current financial pace, your debt will be paid off in less than a year. If this is the case, debt consolidation likely will not be worth it. You can’t afford the personal loan monthly payment. You don’t want to be stuck with an additional payment that you can’t afford. This could lead to late payments or worse, loan default. You will pay more interest and fees with a personal loan compared to your existing debt. You don’t want to take out a personal loan if it will cost you more money in the long run. Your spending isn’t under control and you might wrack up more debt after you pay off your existing debt. There’s no point in taking out a personal loan to consolidate your debt if it will just tempt you to accumulate more debt on paid off credit cards. Your credit score isn’t good enough to get you an acceptable interest rate. You might want to take the time to improve your credit before applying for a personal loan. Consider these statements and compare current debt costs to the costs of a personal loan to determine if debt consolidation is the best option. Also, note that not all personal loan providers are the best for debt consolidation. Some lenders specialize in debt consolidation, whereas others don’t have good enough offerings to make debt consolidation with their loans worth it. The majority of personal loans are unsecured loans. This means you do not have to offer up any sort of collateral to receive the loan. Types of collateral could include owned property, a house, a car, etc—anything the lender can use to pay back the money owed if you default on the loan. However, not all personal loans are unsecured, and some lenders offer secured loans that require collateral. For example, if you have little to no credit or a poor credit score, lenders may only offer you a secured loan because your credit report isn’t a good enough indicator that you will pay back the loan. If you don’t mind putting up collateral and you intend to pay back the loan in full, secured loans don’t have to be a bad thing. The APR (Annual Percentage Rate) combines the personal loan interest rate and any additional loan fees, and it fluctuates based on the personal loan provider. APRs typically range between 5% and 36%, and this is partly determined by your credit history. Popular personal loan providers, such as Best Egg and FreedomPlus, are known for low APRs, especially if you have an above average credit score. However, if you have a quality credit score and a loan provider is still requiring a high APR, you might want to consider looking into the best personal loan companies for a better APR. A bad APR could cost you hundreds of unnecessary dollars over the course of the loan. A hard inquiry is when a lender or creditor pulls your credit for the purpose of offering you a loan. This will ding your credit and decrease your credit score by five to ten points. The hard inquiry will remain on your credit report for up to two years. However, if you pay back your loan on time and take care of your credit in the meantime, your credit score will recover. It’s also important to note that you should keep your loan shopping to a minimum. In other words, only apply for personal loans for a span of two weeks to a month at the most. Any longer and you might receive multiple dings on your credit report rather than just one. Personal loans can range between $2,000 to $50,000, and some lenders, such as SoFi, offer as much as $100,000 loans. With that in mind, you may qualify for a large amount, but that doesn’t necessarily mean you should take the highest offer. Consult your finances and budget before deciding what personal loan amount to accept because if you accept one for more money than you can afford, you will likely regret this down the road. Most personal loan providers require at least a 640 credit score. However, some companies such as FreedomPlus and UpStart, offer loans to 620 credit scores and up. Keep in mind that if you pay your personal loan payments on time and responsibly handle your other credit responsibilities, a personal loan can increase your credit in the long run and immensely help your credit card utilization rate if you choose to use it for debt consolidation. Before you determine if a personal loan is right for you, make sure to check your credit. You can pull your credit score for free at any time as well as get one free copy of your credit report each year.